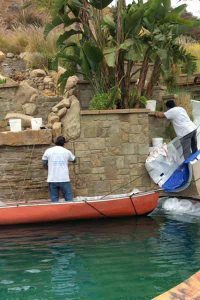 Pool Stone Wall being Cleaned and Restored. 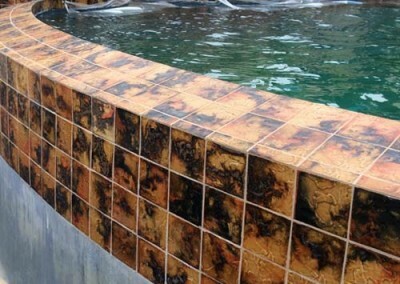 Stone Restoration Services provided by Alex Stone and Tile Services, Los Angeles, San Fernando Valley, Santa Monica, Pasadena, CA. 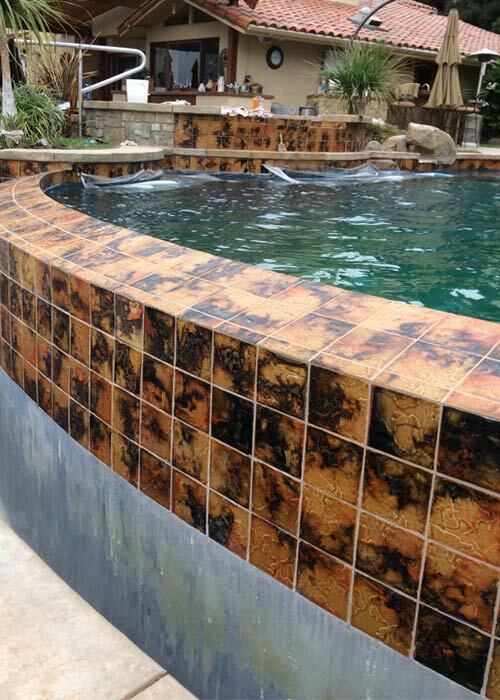 At Alex Stone and Tile Services we take the time to care for your stone and tile the proper way. 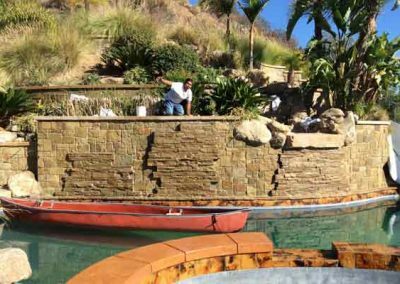 Our staff is thorough, expert, and reliable. 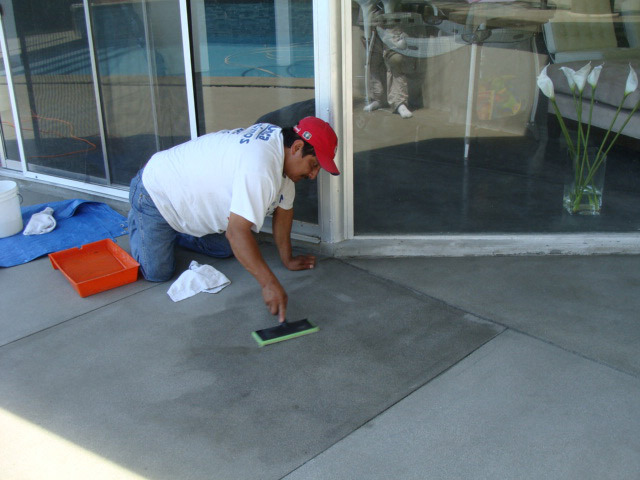 We get each job done with great care and detail, each and every time. We look forward to making your acquaintance, and to having the opportunity to serve you. 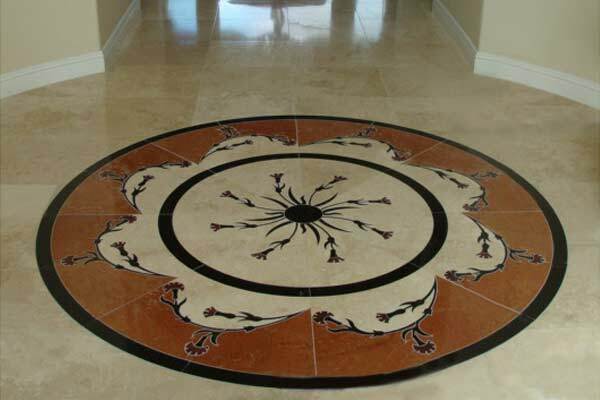 We clean, seal, polish, and restore NATURAL STONE, TILE, CONCRETE & BRICK surfaces. 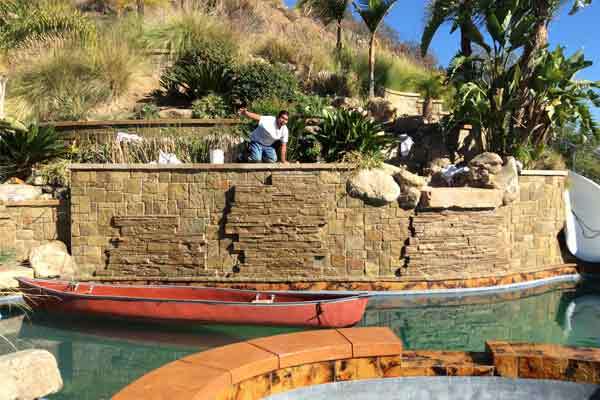 Schedule an estimate with Alex! 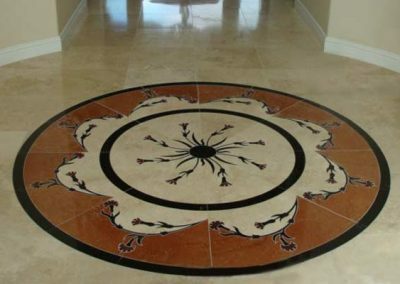 Let us help you enjoy the beauty of your natural stone surfaces in a way that only professional cleaning, sealing and refinishing can bring. Call to arrange an estimate with Alex today!